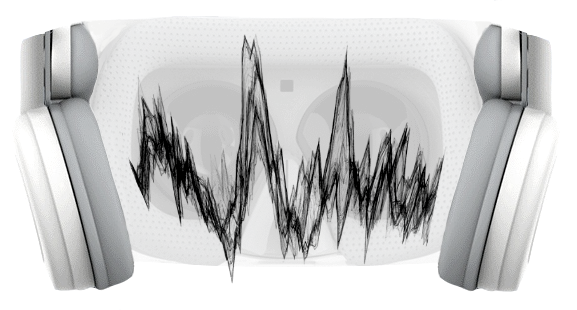 The stereo sound of HELMET VISION is first of all a sound of perfect quality. The acoustic system with magnificent balance, a broad band and definition of sounding will dip you into the world of your favorite music. The system of acoustic absorption isolates all excess noise and will leave you alone with a pure and powerful sound. The active stereo system improves a sound quality, provides dynamic range of frequencies and definition of playback of music of any genre. Resistance 50 Ohm; Sensitivity 102 dB; Ear cushion with a diameter 100 mm. HELMET VISION CONTROLLER – it is a system of feedback tactile communication. The controller provide control over virtual reality by means of tracking of the motion of the user's hand. This controller can be used as a mouse, for switching of control of a desktop and applications, has an opportunity to switch pages of the browser, a call of a search box in the browser by default, a possibility of audio control and some other functions. This controller is provided complete with HELMET VISION. After this your payment will be processed by the operator within a 48 hour period. If we have asked you to verify your identity, this is to safeguard the security of your account and to prevent frauds. You will receive a notification e-mail from control@helmetvision.com asking to verify your identity. Please cover your personal information (birth date and similar ones) and your ID/passport/driving license number. The information submitted will only be used to verify the authenticity of the cardholder’s identity, and will not be shared or sold to third parties. 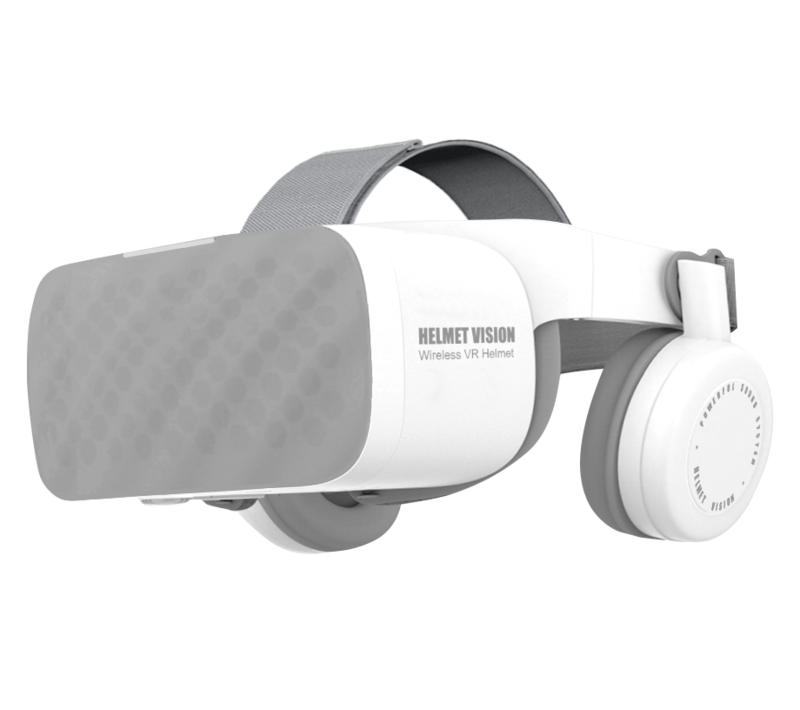 The HELMET VISION LTD company is the developer and producer of a helmet of virtual reality. 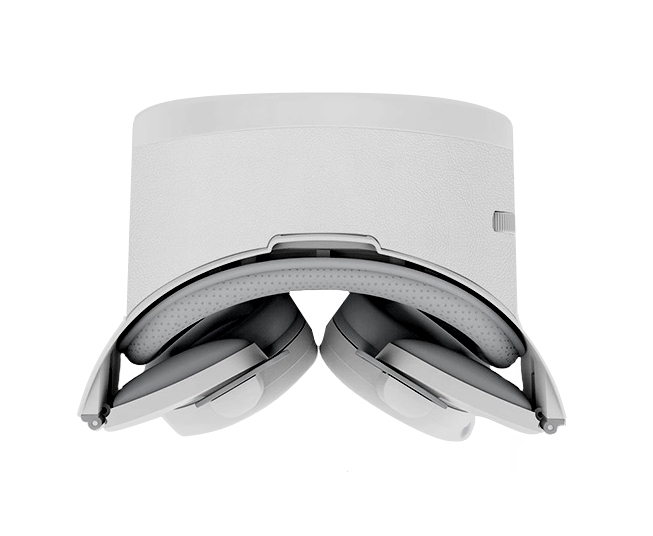 We are always ready to cooperate with talented software developers and developers of devices connected with virtual reality. Contact us on the presented contacts or a feedback form for any offers or questions. We wish you good day, we hope, we will be useful to each other! You will receive a confirmation e-mail after placing an order and another e-mail after your order has been shipped. E-mail will contain the tracking information and some instructions on how to track your parcel. The estimated delivery time (<18 working days) may also vary according to your location and the origin of your order. Delivery is carried out from the nearest warehouse by the EMC service. 4.Delays in delivery caused by any other beyond Banggood's control, such as public holidays and Customs issues. *Note: The shipping times mentioned above refer to the estimated times of business days that the shipment will take after an order has been shipped. Business days do not include Saturday/Sunday and any public holidays. These estimates are based on normal circumstances and are not a guarantee of delivery times. We are not responsible for the failures or delays in delivery resulting from any force majeure event, such as natural disaster, bad weather, war, and any other event beyond our direct control, such as public holidays and customs issues. It means that You can return device after receiving our confirmation, and will have to pay the return shipping fees. Device are covered by a one-year warranty, while their accessories like cables and chargers are covered by a three-months one. If the device is defective within one year from its delivery date, you can return it for a free repair. The scope of this warranty excludes all damages caused by artificial factors, like dis-assembly, misuse, drops, falls, water, unofficial firmwares, software modifications or similar causes both for device and their accessories. If the device arrives broken, please contact us within 3 days from its delivery date. Due to the fact that device are considered high-value items, we may ask you to return the defective device before receiving a replacement or a refund. Please include all of its accessories, like controller, cables, chargers, batteries, in the returned parcel. If an accessory or component is missing, we will ask you to pay for it. If you are not satisfied with the device you received, please contact us within 3 days from its delivery date and send us some photos or a short video showing the product and why you dislike it. We will refund the price you paid after receiving the device. We will also ensure that all its original accessories have been returned and that the device has no damages or scratches. If there are any aesthetic imperfections or missing parts, we will charge you 20% of the device price. If the device appears to be defective within one month from its delivery date and the cause is related to its manufacturing process, we can arrange a refund, replacement, free repair or local maintenance based on its problem. If the problem is caused by the device itself, we can arrange a refund or a replacement according to your preferences after sending it back to us. If the device appears to be faulty after one month but within one year after its delivery date and the problem is caused by its manufacturing process, you are eligible for receiving a free repair of this product. After receiving the defective product and after it has been repaired, we will send it back to you with a free shipping method. We will then issue a 10% refund of the return shipping fees. If you do not want to pay the high return shipping fees, you can find a device repair shop in your country. We can pay the repair fees only if their cost does not exceed 15% of the device price. We will otherwise request you to return the product and allow us to fix it for free in our repair centers. If the repairers can not guarantee that the device can be fixed or need to disassemble it for assessing the nature of the problem, please ensure that they will not damage the product during the whole process. -If the defect on the product is not related to its manufacturing process, the customer should pay the return shipping fees. 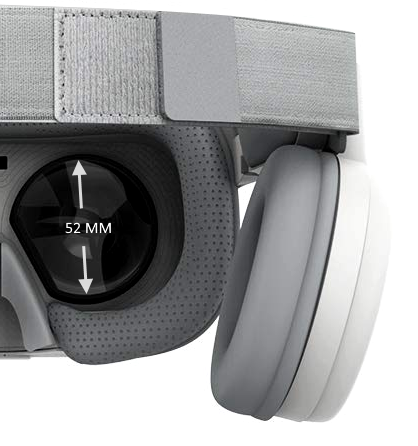 We make virtual, mixed and augmented reality products. Information you (and others) give us. If you buy something on or through, we collect information about the transaction. This can include your payment information, purchase activity and delivery and contact details. When you post, share or communicate with us, we receive and store those communications and information associated with them, such as the date when a post was created. Information collected in or through cookies, local storage, advert pixels and similar technologies. Information about how you access our Services, including information about the type of device that you're using (such as a headset, PC, TV, mobile or other connected device), its configuration (such as your operating system and graphics processing unit), your browser, Internet Protocol ("IP") address and how your device is performing. Certain identifiers that may be unique to you. These identifiers include device and other identifiers, such as those from games and apps you use. Information about the games, content or other apps installed on your device or provided through our Services, including from third parties. Location-related information, which can be derived from information such as your device's IP address. If you're using a mobile device, some of our Services collect information about the device's precise location, which is derived from sources such as the device's GPS signal and information about nearby Wi-Fi networks and mobile phone masts. Information about your environment, physical movements and dimensions when you use an device. and Improve services offered by others, such as third parties that offer content, games, apps and other experiences on our platform. We use the information that we collect to send you promotional messages and content and otherwise market to you on and off our Services. We also use this information to measure how users respond to our marketing efforts. We share the information that we collect with vendors, service providers, researchers and other partners, who work at our direction to support the Services (such as hosting our Services, fulfilling orders, facilitating payments, analysing the way people use our Services, processing credit card payments, providing customer service or sending electronic communications for us). Other parties in connection with certain business transactions. In the event that the ownership of HELMET VISION (or any portion of our assets) changes as a result of a merger, acquisition or in the event of a bankruptcy, information from or about you or your device may be transferred to another company. We share information with law enforcement. Some of the content, marketing and functionality on our Services may be provided by third parties that are not affiliated with us. For example, we work with companies that help us understand how people use our Services. In response to a legal request (e.g. a search warrant, court order or subpoena) if we have a good faith belief that the law requires us to do so. Information that we receive about you, including financial transaction data related to purchases made on or through our Services, can be accessed, processed and retained for an extended period when it is the subject of a legal request or obligation, governmental investigation or investigations concerning possible breaches of our terms or policies, or otherwise to prevent harm. We also retain information from accounts disabled for breaches of our terms for at least a year to prevent repeat abuse or other term breaches.